Television is not necessarily a bad thing. It depends with what your kids are watching. Movies are part of home entertainment today. Movies can be destructive to morals, no doubt but there are also multiple benefits, which we cannot assume. Of course, it is important to check on what your kids are watching and if possible control the choice of movies. Most times when this topic pops up, it is often on the negative side. Most of the reasons are justified. However, we should pause once in a while and check on the positive effects. 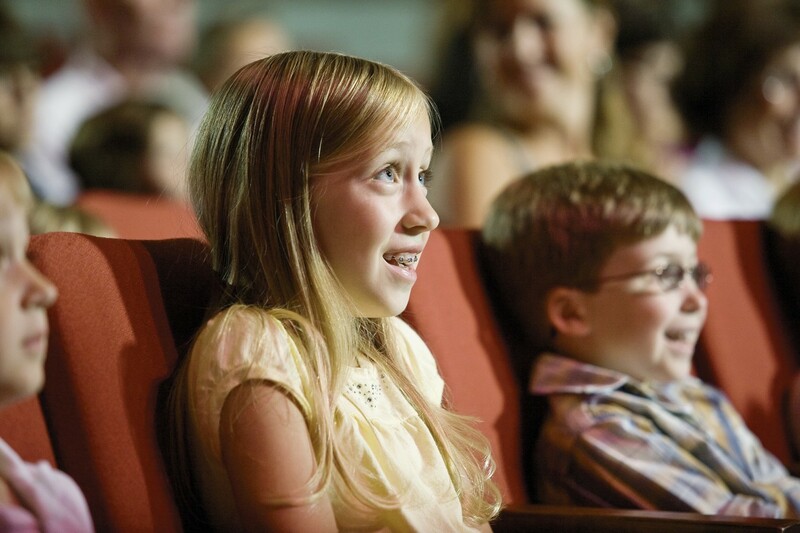 Movies help kids to expand their knowledge on various aspects in society. Not everything is in school curriculum; movies help with informal education. In the 21st century, most parents are busy and rarely find time to interact with their kids to help with building their knowledge away from formal education. Kids are likely to miss an important stage of life if they are deprived of both time to socialize and watching movies. All parents should do is be part of the movie selection, at least preview a movie before allowing your kids to watch. Knowledge is diverse; it can be beneficial or destructive. Kids’ minds are sharp and will capture almost everything in a movie, the memory is also sharp; they will always want to practice what they have seen in movies. To them, movies type the normal world. If a kid somewhere can do acrobatics or interact in a certain way with the parents, it is possible with them. If you have a negative perception of movies with kids because of this then you are justified but its time you look at the brighter side. Actually, you should consider watching movies with your kids. You will be surprised at what the little minds pick from the scenes. Kids are often excited about kitchen chores and DIY projects, which can be part of the movies. The learning process can be more effective if you are present when they are watching; kids with their innocence will ask questions. They don’t assume anything; if they are thinking of trying out anything on the movie, they will speak it out. You have a chance to correct anything undesirable basing on your definition of good manners. Kids can learn simple interaction tips with parents. Interpersonal relationships can be built through movies. If your kid is an introvert, movies can help in developing socialization skills. In most movies where there is a home setup, there is always time for meal preparation and eating. Kids can learn how to behave on the table. The curiosity of kids will lead them to ask questions and in the process add on their knowledge. The role of movies is triggering; usually, scenes will pop up in seconds and kids will want an elaboration. You might have to keep pausing the movie and asking them to be quiet until the end and enjoy the storyline. However, movies are more than mere entertainment to kids. Fiction movies are not only exciting to kids but also educative. Kids will be fascinated by the extraordinary moves on the screen; if they don’t ask at that moment, it will come up later. You might not be able to trace to a movie you watched last week but it may have been troubling their minds for several days on the need to bring it to reality. Kids will explore; at times, it might be dangerous to their health or will damage their bodies, which you can control. The point is kids will strive to interpret and understand anything foreign they meet. In the process of questioning and researching they increase knowledge. Documentaries on animals, the environment, and the planet are all time favorites. Most kids will spend a whole afternoon enjoying the wildlife. They not only learn of distinctive characteristics of different animals and the names but they also understand how nature works. They can categorize animals according to the environment, for instance tropical and arid creatures. Also, kids will learn about scavengers, birds and laws of the jungle. Documentaries can also be on machinery. Kids have different interests and hobbies in life. Also, their career aspirations vary widely. Some will be interested in technology, and some in engineering among other fields available on screens. While they may be at a tender age to understand technical terms and explain different concepts, they will increase their knowledge in respective subjects of interest. Soap operas are also part of movies that improve kids’ knowledge. Communication skills, courtesy, kindness, and social relationships are main themes in such films. Kids will pick what they find interesting and question or try to implement it in their lives. In the process, they learn and advance in knowledge. You might not be able to take your kids for a visit to rainforest or interact closely with wild. Movies with such themes expose kids to various aspects of the environment. While learning is more effective in practical, especially for kids, they will know what a giraffe eats and how fast it can run even before their first game drive. Movies have a significant role in increasing knowledge, not only to kids but also adults. Hello, I have completed my undergraduate program from UVA. Now i am working as a profession writer and editor of a local newspaper.